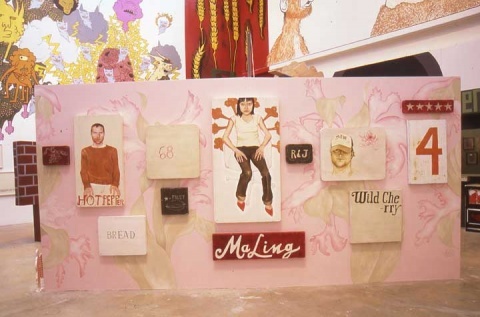 “Art at Large in New York City is hosting a colossal gallery exhibit of Tiny Fine Art. I(Jake) will have some photography on display, along with art work by many other artist from all over the world. 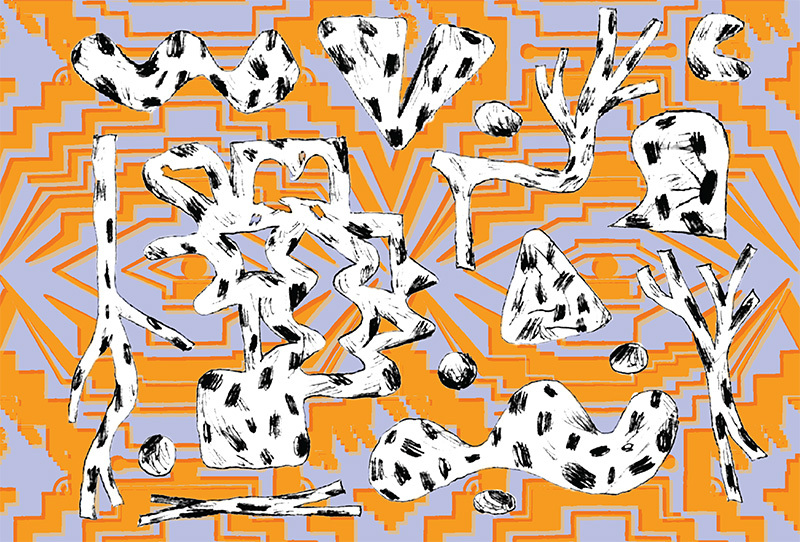 if you cant make it opening night the show is running till April 1, 2006.
gonzo: you should post it on the 1026 site. Hold it down gang! I wish I could be there too. 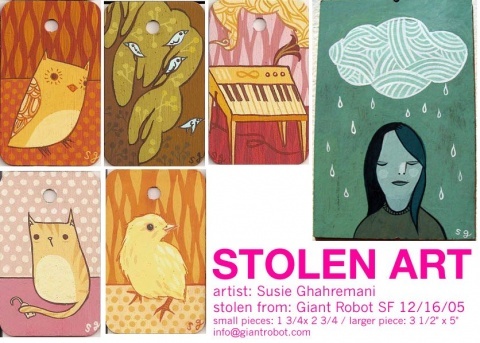 “my name is susie ghahremani, my email address is susie @ boygirlparty.com, and six of my pieces from my show at giant robot san francisco (“let’s share”) were stolen yesterday right off the walls. it’s upsetting, and i hope that this message can be spread around to hopefully return the pieces to me, giant robot, or the people who have purchased them. if you know anything about the theft, please help by contacting me or giant robot. please spread the word, please be on the lookout for these pieces.